Finelli jewelry is designed for those who truly want the best. to completely satisfy your every desire for an exquisite diamond ring with the perfect Finelli Design. Stuller allows you to Choose, Change and Create. Stuller’s long list of products include: Bracelets & Charms, Brooches & Pins, Earrings, Necklaces & Pendants, Rings, Men’s Fashions, Children/Youth and Wedding/Anniversary jewelry. Looking for unique bridal ideas? Scroll through the below designs from Stuller to find that perfect ring. Each charm tells a story. A charm is a sentimental journey you can hold in your hand to relive precious memories or recall special occasions for a lifetime. It is the classic collectible. No other gift captures a moment as clearly as a fashionable and affordable charm. Each charm tells a story. Reflection Beads was created to give women the opportunity to express themselves with their jewelry. We encourage women to create fashionable jewelry designs that have a special meaning… jewelry that tells their story! Reflection Beads features a jewelry system compatible with other leading brands of bead jewelry. Our vast selection currently contains over 2000 high quality beads and charms at very competitive prices. Our extensive array of high quality sterling silver bali beads, hand-blown glass, Swarovski® crystal and Italian Murano glass beads make the ideal gift for any occasion. For unique and personalized birthday gifts, choose from our wide selection of sterling silver letter, number or birthstone beads. Our “From the Earth” category features a stunning selection of stone beads with many colors of coral, quartz, agate, magnasite and serpentine from which to choose. For the largest selection of diverse styles and the latest fashions, always look for Reflection Beads. Pick your favorites then stop in and design yours today. Choose from our large selection of charms and build that perfect bracelet for your athlete. 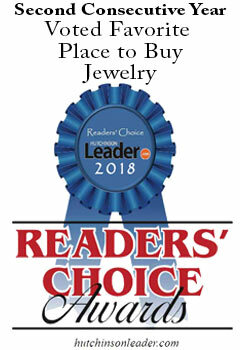 Berco carries a wide range of products: Bracelets & Charms, Earrings, Necklaces & Pendants, Rings, Men’s Fashions, Children/Youth and Wedding/Anniversary Jewelry. From it’s many collections – Aspire 925 Silverworks, Side by Side-Two People Two Diamonds, Diamond Dancers, Endless Radiance and more – you are sure to find the perfect gift or jewelry piece of your dreams. Lashbrook is a manufacturer and designer of men’s wedding bands. Established in 1897, Marathon Company is family owned and operated. Over the years, Marathon has established a reputation for Integrity, Reliability, and Service. Customers know they can count on their products, and it is for this reason that the names Kiddie Kraft and Marathon are known throughout the U.S.A. The acceptance and achievements of Marathon Company has been due to their ability to manufacture a quality piece of jewelry of superior design and craftsmanship at an affordable price. A Lifetime Guarantee accompanies every item from Marathon. The IMPERIAL Pearl is the product of an extraordinary collaboration between nature and humankind. Nature creates the oyster in which the pearl grows. Then the human mind – intellect and imagination – and hand combine to seed, cultivate, nurture, and protect the oysters in farms. IMPERIAL creates designs that set and anticipate trends. Pieces today considered to be traditional often appeared as the contemporary designs of their times. And current cutting-edge pieces are destined to become tomorrow’s classics. Valina Bridals engagement and wedding rings contain a dazzling, unspoken statement of love and eternal devotion.